The M de Mulonnière 100% Cabernet Franc from Château de la Mulonnière is now out! 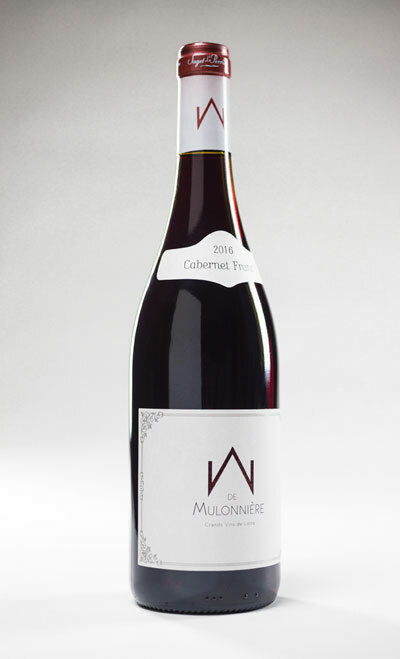 We are delighted to announce the release of our latest M de Mulonnière wine - a Cabernet Franc. This red Anjou complements our existing Chenin blanc and Rosé d'Anjou duo under the M de Mulonnière label. Like the two other wines in the range, our new M de Mulonnière 100% Cabernet Franc is a wine with a lovely balance of intense fruitiness and a very supple, creamy texture on the palate. We are taking this opportunity to share an article from the Guide Hachette 2018 with you. It awarded this first promising vintage 3 stars and a coup de coeur (its “favourite” rating)!
" Beaulieu-sur-Layon is known for its fabulous sweet wines, and it also produces superb red wines. This exciting 2016 has everything we look for in Anjou: fruit, fruit, and more fruit (blackberry, blueberry), a few notes of undergrowth and even a touch of smoke, a great deal of finesse and elegance on the palate, along with density, structure and tight tannins "